Induced pluripotent stem cells (iPSCs) are specialized adult cells that have been genetically reprogrammed to an embryonic stem cell through gene introduction and are important to maintain the vital properties of embryonic stem cells (ESCs). In 2006, studies by researchers of Kyoto University, Japan, have found the procedure to enable customized adult cells that could be reprogrammed genetically to a stem cell state. Since the breakthrough of “cell reprogramming,” there have been many advanced techniques to generate iPSCs by finding a strong new method to “de-differentiate” cells whose developmental fates had been assumed to be determined. Global scientists and clinicians are intrigued by the conception that abundant immune-matched pluripotent cells can be generated from a patient’s tissue. Stem cells represent a valuable asset as observed in previous sections. Even though these stem cells exist in embryonic and adult tissues, harvesting copious pure stem cell populations has been restricted by practical challenges such as obtaining embryonic tissues and separating comparatively uncommon cell types. Intrinsically, the systematic challenges in tissue-derived stem cell isolation, culture, purification, and differentiation have insisted researchers to identify methods for developing pluripotent cells with the aid of cells that are non-pluripotent. During the clinical culture of optimum number of stem-like cells, the need for uncommon cells is generally eliminated by readily available copious differentiated cells that are coaxed into pluripotency. Nuclear reprogramming is the method that analytically causes a steady variation in the nucleus of a mature cell that can be later maintained and duplicated as it undergoes division though mitosis. These variations are often related to re-procurement of a pluripotent state, which in turn empowers cell with developmental potential. Techniques such as somatic cell nuclear transfer, altered nuclear transfer, and other approaches to integrate somatic cells with ESCs have been traditionally employed to implement the strategy. These techniques have many disadvantages, such as the derivation of an embryo or the development of hybrid cells that are not feasible to cure disease, from the clinical point of view. Despite these, research has led to the development of nuclear reprogramming in-vitro as a turning point for developing iPSCs techniques in 2006. This method includes procedures such as harvesting mature somatic cells from an adult and introducing genes, which ultimately regulate the function of other crucial genes involved in the initial stages of the development of embryo. According to a study reported in 2006, reprogramming of mouse fibroblasts (skin cells and other connective tissue cells) to an embryonic stem cell-like state by inflicting the genes through gene expression, which are critical to maintain the defining properties of ESCs, requires only four transcription factors such as Oct4, Sox2, Klf4, and c-Myc. These factors play a significant role in maintaining pluripotent cells that have the ability to generate other types of cells in the body. Over a period of a few weeks in culture, it has been found that there exists a strong analogy between newly developed iPSCs and ESCs. In 2007, generation of iPSCs from human cells using either the original four genes or a different combination comprising Oct4, Sox2, and Nanog, was a major breakthrough that was achieved by two different research groups. Subsequently, generation of iPSCs from somatic tissues of a monkey and a rat has been reported by the scientists. However, iPSCs produced by these approaches was fewer than 1% of starting adult cells, which proves them to be inefficient. Efficiency is also affected by the adult cell type; reprogramming efficiency of fibroblasts is less when compared to human keratinocytes, mouse liver, and stomach cells, or mouse neural stem cells, and they incur more time for factor expression. Researchers have found numerous ways to minimize the harmful aftermath of reprogramming and increase its efficiency. Scientists have investigated the requirement of all four transcription factors, as the involvement of retroviruses in delivering these factors can probably lead to mutagenesis. The gene c-Myc, to a greater extent, causes tumor growth, which in turn leads to redundancy of iPSC in transplantation therapeutics. 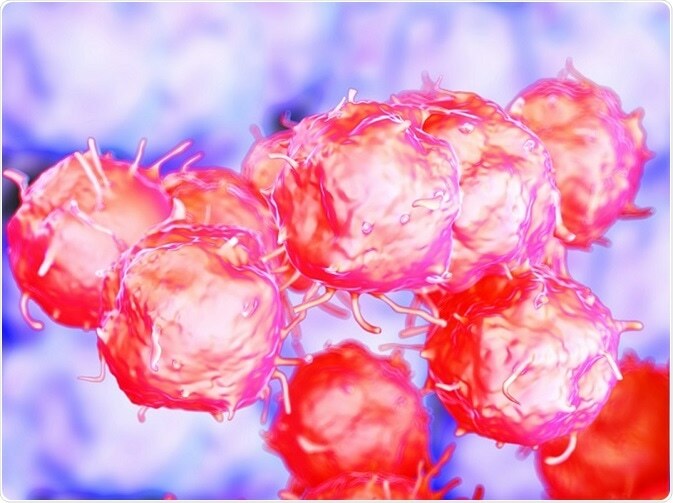 To attain this goal, researchers have succeeded in converting mouse embryonic fibroblasts to iPSCs by a three-factor approach that uses an orphan nuclear receptor Esrrb with Oct4 and Sox2. This accomplishment affirms the other reports that prove the redundancy of c-Myc in direct reprogramming of mouse fibroblasts. Consequently, the count of genes expected for reprogramming have been decreased further, and researchers are ceaselessly involved in finding chemicals that can either replace or improve the efficiency of transcription factors in this process. These milestones further inform and simplify the reprogramming process, which in turn progresses the domain towards patient-specific generation of stem cells for clinical use. Nevertheless, the critical method by which transcription factors are distributed to the somatic cells is estimated for its possible clinical application.